Well folks, it’s official. La Nina is HERE. Not only is she bringing fresh powder, but she’s also bringing the premiere of Warren Miller Entertainment’s “…Like There’s No Tomorrow” to the heart of Glacier Country. The film will premiere in downtown Missoula on Friday, February 3, 2012 at 8 PM at the Wilma Theatre. In addition to a rowdy celebration and a chance to see some sweet skiing on the big screen, the premiere will also feature raffle prizes and visits from two Warren Miller athletes, Lynsey Dyer and Andy Mahre. 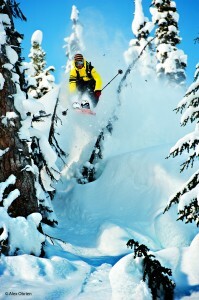 Warren Miller athlete Andy Mahre. And because we love winter, we’re GIVING AWAY TWO tickets to the premiere, as well as TWO day lift ticket passes to Snowbowl. And, just for fun, we’re including a one night stay at Holiday Inn Express & Suites in Missoula. To enter, leave a comment on this post and tell us your favorite ski trail in Montana. We’ll announce a winner on Monday, January 30! Comments will close Monday, January 30 at NOON, Mountain Standard Time. Tickets are $12 and available at The Trail Head, Backcountry Racks and Skis and Rockin Rudy’s. A portion of the proceeds from the show, including $5 from each ticket sold at The Trail Head, will benefit the West Central Montana Avalanche Foundation. Update: Comments are closed. 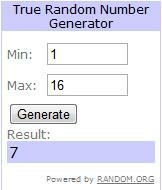 Congrats to the winner of our giveaway, Travis Allred (the #7 entry) for winning the tickets to the premiere, lift tickets to Snowbowl and an overnight stay in Missoula! This entry was posted in Contests, Exclude, Missoula, Winter Fun and tagged Glacier Country, Missoula, Missoula+outdoor, Montana, Play, Winter Fun on January 17, 2012 by tiatroy.